Clean the oil pan mating surface.Clean the oil pan-(1). Remove all the sludge andthe oil deposits.Inspect the threads for the engine oil drain plug.Inspect the oil pan for cracking near the pan rail and thetransmission mounting points.Inspect the oil pan for cracking resulting from impact orflying road debris. Note:The oil pan baffle and pickup screen are not removable fromthe oil pan. 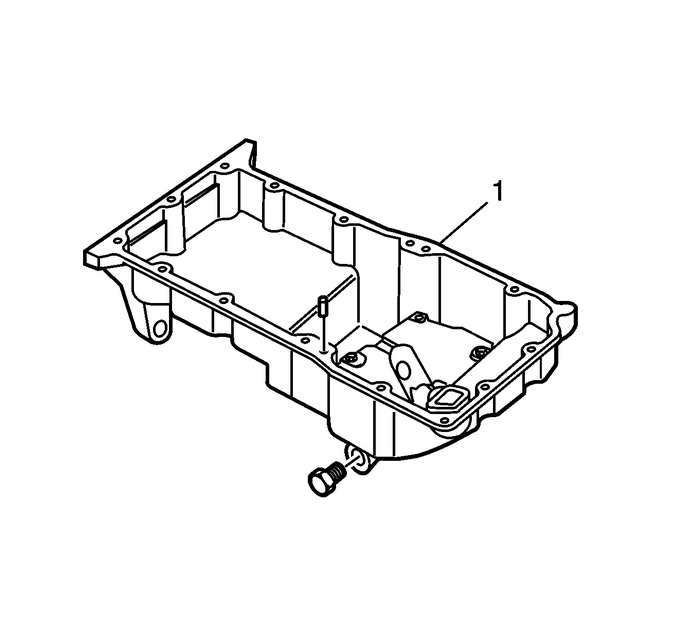 Inspect the oil pan baffle and pickup screen.Repair or replace the oil pan as necessary.